Study Management with Human Resources at Royal Holloway, University of London - Which? Where an applicant is taking the EPQ alongside A-levels, the EPQ will be taken into consideration and result in lower A-level grades being required. Socio-economics factors which may have impacted an applicant's education will be taken into consideration and alternative offers may be made to these applicants. 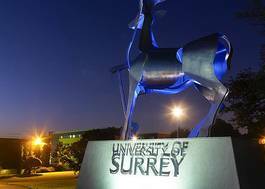 General Studies and Critical Thinking A-levels are not accepted. Our School of Management has a fresh and intellectually challenging approach to management research and education. Studying Management with Human Resources at Royal Holloway means that you will learn from internationally renowned experts who will share their research and experience so that you gain current and relevant management skills and knowledge. Your specialist knowledge in human resources, combined with the interpersonal and transferable skills, will lead to excellent career prospects in management. You will build on your skills and abilities in all the key areas of management, including strategy, international business, marketing and consumption. You will also explore the unique blend of hard and soft skills needed for success in human resources, within the context of modern management skills and issues. - Excellent career prospects in management, by specialising in human resources and studying real life case studies with input from business stakeholders. 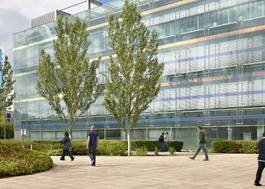 - Quality research publications are judged as 14thout of 101 UK business and management schools (Research Excellence Framework 2014). - Innovative and effective Management School; 81% student satisfaction (National Student Survey 2015) and Marketing ranked 4th (Complete University Guide 2017). 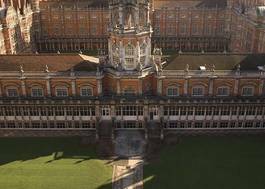 - Inspiring international community; 60% of our Management students come from overseas and the 8,500 students at Royal Holloway are from 130 countries.